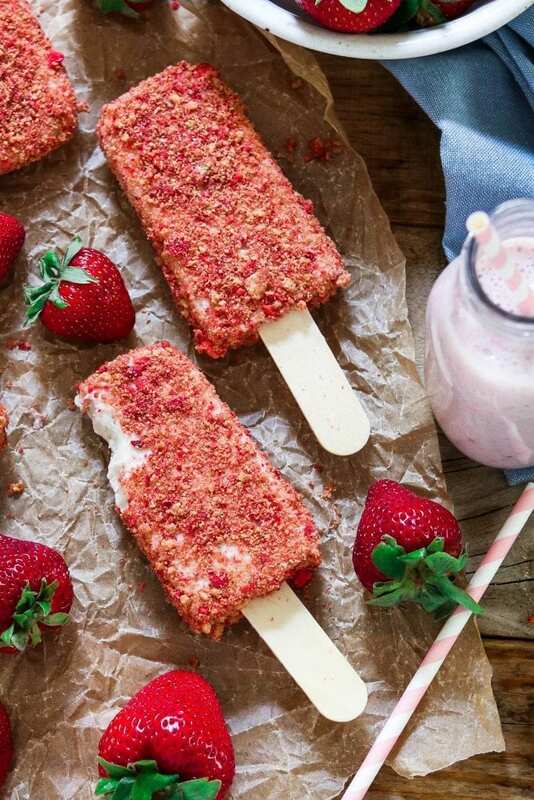 Have a taste of nostalgia with these Strawberry Shortcake Ice Cream Bars. They’re creamy, crumbly, tart and deliciously sweet! Who doesn’t love ice cream? Especially, when it comes from a musical truck driving around the neighborhood. Yep, those were the days! I remember like yesterday, the panic and excitement I would feel when I heard the ice cream man coming. I would quickly run to my piggy bank, dump my change out and charge out the door. There were moments when I had to chase that sweet-filled vehicle down the road, and I had no shame. The ice cream man carried an array of cold treats and made many kids indecisive on what to choose. Not me though…I knew exactly what I wanted, and I would order the Strawberry Shortcake Ice Cream Bars… Every. Single. Time. I’m sure most of you know which ice cream bars I’m talking about, right? Well, for those of you that don’t know, it had two layers of creamy ice cream, one vanilla, one strawberry, and it was coated with a buttery crumb topping. I sometimes feel bad that my son can’t experience the joy of chasing an ice cream truck for a sugar high. The one in our neighborhood really lacks in vegan options and leaves him to choose from chemically dyed frozen sugar-water. Doesn’t sound so appealing, does it? 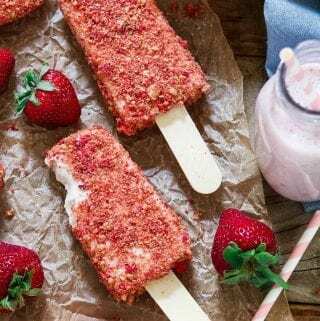 I hope that one day this will change, but for now, I enjoy recreating childhood treats like these Strawberry Shortcake Ice Cream Bars for my little man (and like these Orange Creamsicle Pops). He’s pretty happy about it too. Ingredients: Nonfat Milk, Cake Crunch [Bleached Wheat Flour, Sugar, Palm Oil, Coconut (Sodium Metabisulfite to Protect Quality), Salt, Sodium Bicarbonate, Artificial Flavor, Soybean Oil, Red 40 Lake, Soy Lecithin, Red 3, Red 40], Corn Syrup, Water, Sugar, Palm Oil, Soybean Oil, Coconut Oil, Contains 2% Or Less of Each of The Following: Whey, Strawberries, Citric Acid, Mono and Diglycerides, Locust Bean Gum, Guar Gum, Natural and Artificial Flavor, Carrageenan, Red 40, Caramel Color, Vitamin A Palmitate. Kind of scary, huh? What kills me though, is all the red dye in it. There are four types, and they are all cancer-causing ingredients. This makes me sad, and nobody should be ingesting this garbage…especially children. The original Strawberry Shortcake Ice Cream Bar had both vanilla, and strawberry flavored ice cream. However, my family prefers all vanilla ice cream. The strawberry flavor comes from the crumb coating. If you want strawberry ice cream instead, feel free to blend 1 cup of fresh strawberries to the mixture. If you want both strawberry and vanilla, you can make one of each flavor, and layer them into the mold. It’s just more time-consuming that way. Another option is, making some bars with all strawberry, and some with all vanilla. It all works! Oh, and you’ll need popsicle molds, too. The ones that I use can be purchased here. I like them because they are BPA free, inexpensive and they work great. I’ve had them for years, and I’ve used them a lot (I used wooden sticks for photo purposes, but the set comes with everything). Now that you have all your ingredients, you can put these tasty treats together in a snap. Just toss the ice cream ingredients in a blender and give it a whirl. Pour the mixture into your molds and freeze them for 6-8 hours. While those are chilling, you can make the buttery crumble topping (my favorite part). Pulse the cookies in a blender or food processor to form small crumbs. Place them on a plate, and pour the melted butter on top and incorporate with your hands to form soft buttery crumbles. Now Pulse the freeze-dried strawberries and add them to the vanilla cookie crumbs. When the ice cream is frozen, run the molds under warm water for 1 minute (this will release them easier). Let them thaw for 2-3 minutes so the crumbs will stick. Line a baking sheet or plate (that will fit in your freezer) with wax paper. Coat the bars with crumbs and place them back in the freezer for 15 minutes. Voila, they are now yours to enjoy! Are you ready to get nostalgic? Let’s do this! 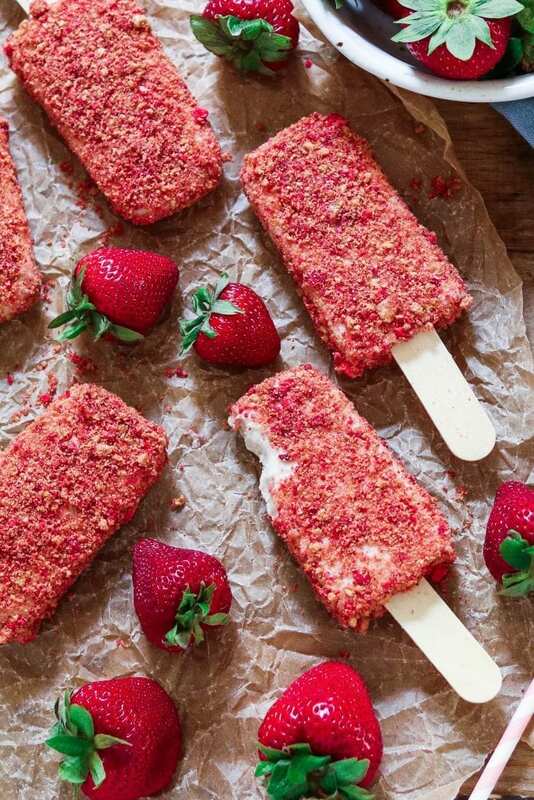 If you make these Strawberry Shortcake Ice Cream Bars, I’d love to hear what you think. It would really make my day. You can also follow me on Instagram and share your creation with me. Just tag me @veganhuggs and hashtag #veganhuggs so I don’t miss it. 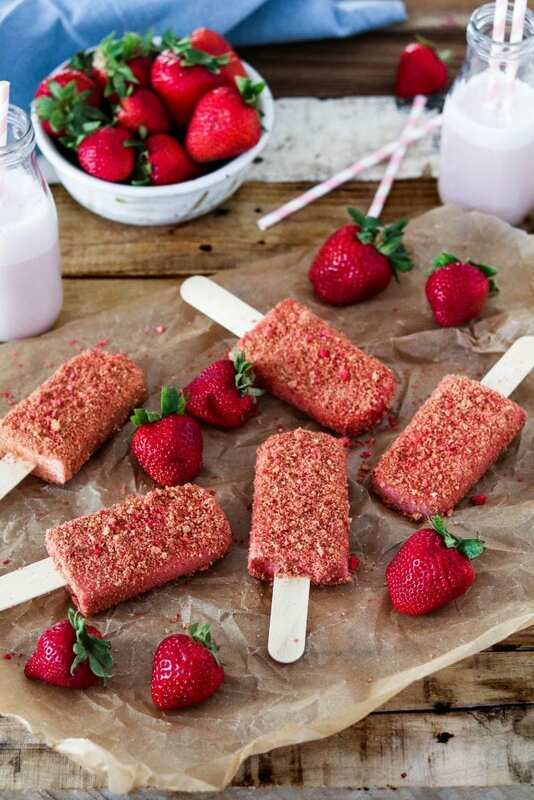 Have a taste of nostalgia with these Strawberry Shortcake Ice Cream Bars. They're creamy, crumbly, tart and deliciously sweet! In a blender of food processor, add vanilla cookies and pulse a few times to make small crumbs (make about 3/4 cup of crumbs). Pour onto plate. Pour melted butter on top and incorporate with your hands to form soft crumbs. Now add the strawberries into the blender/food processor and pulse a few times to make small crumbs. Don't over pulse or it will turn into powder (some powder is ok). Pour into vanilla crumbs and mix together. Set aside. In a blender, add coconut milk, maple syrup, vanilla and salt. Blend on medium until smooth. Taste for sweetness and add more if needed. Pour into molds and freeze for 6-8 hours. Remove ice cream from molds by running under warm water for a minute. Place ice cream on a wax paper-lined baking sheet or plate (one that will fit in the freezer). Let bars thaw for 2-3 minutes, so the crumbs will stick. Place thawed bar into the crumbs. Using a spoon or hands, cover ice cream with crumbs, pressing gently all around. If it's not sticking, let it thaw for 1-2 minutes more. Place back on wax paper and repeat step until bars are finished. Place back in freezer for 15 minutes. Enjoy! * You’ll need popsicle molds to make these, and any kind will work. The ones that I use can be purchased here. I like them because they are BPA free, inexpensive and they work great. I’ve had them for years, and I’ve used them a lot (I used wooden sticks for photo purposes, but the set comes with everything you'll need). * If you want strawberry ice cream instead of vanilla, just add 1 cup of fresh strawberries to the mixture and blend (frozen will work too). 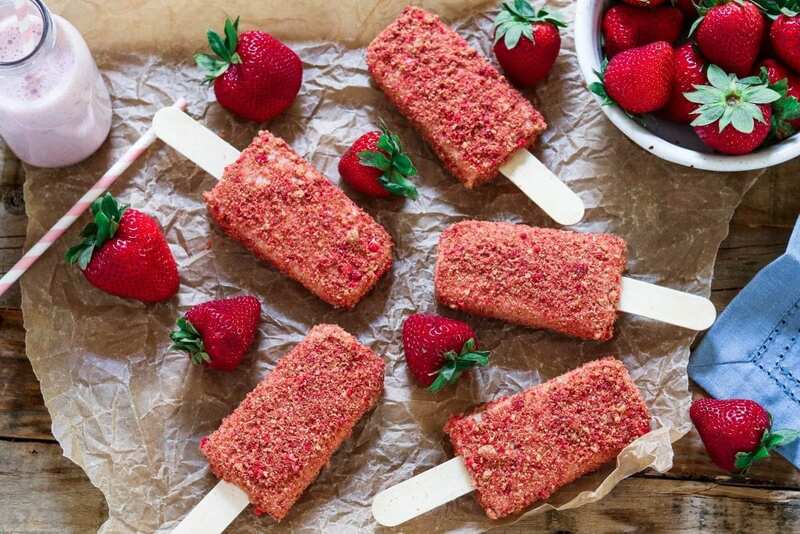 * If you want both strawberry and vanilla in the same ice cream bar, you can add 1/2 cup of strawberries to half of the mixture, and layer the flavors into the mold. It's more time-consuming this way because you need to freeze each layer before adding the next layer(freeze 20 mins for each layer). * Another option is, making some bars with all strawberry, and some with all vanilla. It all works! * Prep time doesn't include freezing time. *Store in airtight container for 4-6 days. I feel like they don't taste as fresh after that. What a great recipe, just the thing I need to keep the summer going for a little bit longer!! Quick question— I’ve got a cuisinart ice cream maker and am wondering if it would be worth while to make the ice cream in that first before putting it in the popsicle molds but also thinking that might be uneccessary. What do you think? Thanks again! Can you substitute coconut milk with soy milk? Should we only scoop out the cream of the coconut milk? Wouldn’t the water make these super hard? I made these today, and they are so good!!! Thank you so much for the recipe! 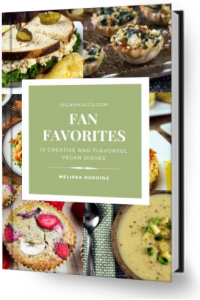 Just the type of vegan copycat recipe I was looking for! My only question is, where does one find freeze dried strawberries? This recipe is SO awesome, Melissa – I used to love these bars, so much!! And you’re so right, there was something about hearing the ice cream truck that just took the excitement level to 100 as a kid. As soon as I saw these bars it brought back those great memories, and I’m super happy to have a healthy version of these bars now! 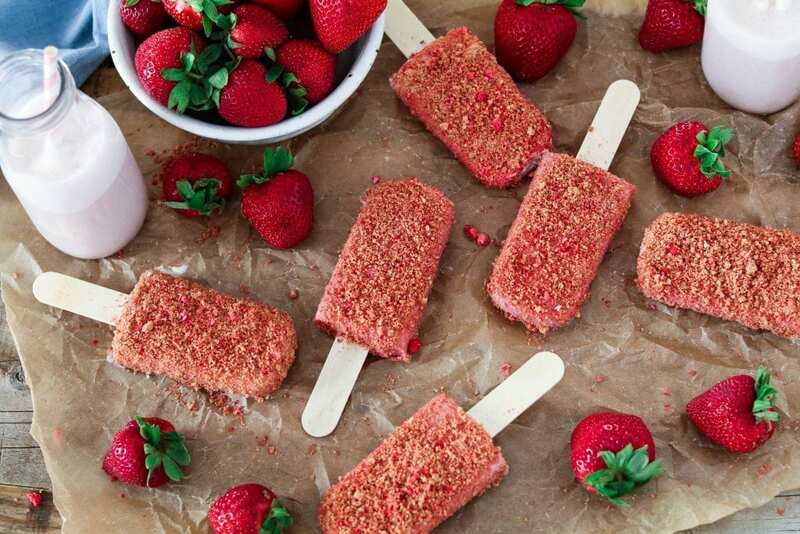 I love that you used freeze dried strawberries for the coating, I’m sure it adds great texture and that awesome strawberry flavor, of course. Can’t wait to try these!! Melissa, they do look delicious and better than a real deal! We get Ice cream Van on our street at least once a day (and it’s going to get even more frequent, now the Summer is coming…), and I always want to go and chase it, but then I remember they are not soo good for you. But who cares, when you can make your own and they look this good?!? Melissa these look amazing! I used to love those Strawberry Shortcake Ice Cream Bars too. I saw them in your newsletter and had to come by to say I can’t wait to try these!